Over the last twenty years, design education has had an evolving but uneasy relationship with code. Graphic and communication design programs in the late 1990s were already struggling with the idea that designers would use computers to design, so the idea that students could be taught to code—or should be taught to code—was deferred indefinitely. In the meantime, dozens of adjacent programs in new media and creative technologies sprung up to fill the gap, with many designers and artists finding their first experiences with code in those programs, while other designers elected to learn on their own, or not at all. Twenty years later, it’s still an open question how, or whether, the surging number of students studying graphic and communication design should learn to code. Despite the increasing “program or be programmed” urgency in contemporary culture, there are new challenges. Computer interfaces are increasingly opaque, dampening both understanding and curiosity. Students pressured into narrow definitions of “career” struggle to find relevance in learning methods, techniques, and theory that don’t fit neatly into specific job titles, and even the embrace of “digital design” has taken a turn towards prototyping rather than designing digital experiences. As a result, there have been many innovations in teaching code in K-12 environments, or to artists, but learning to code is still seen as alien to the design context, even if it is nothing new. 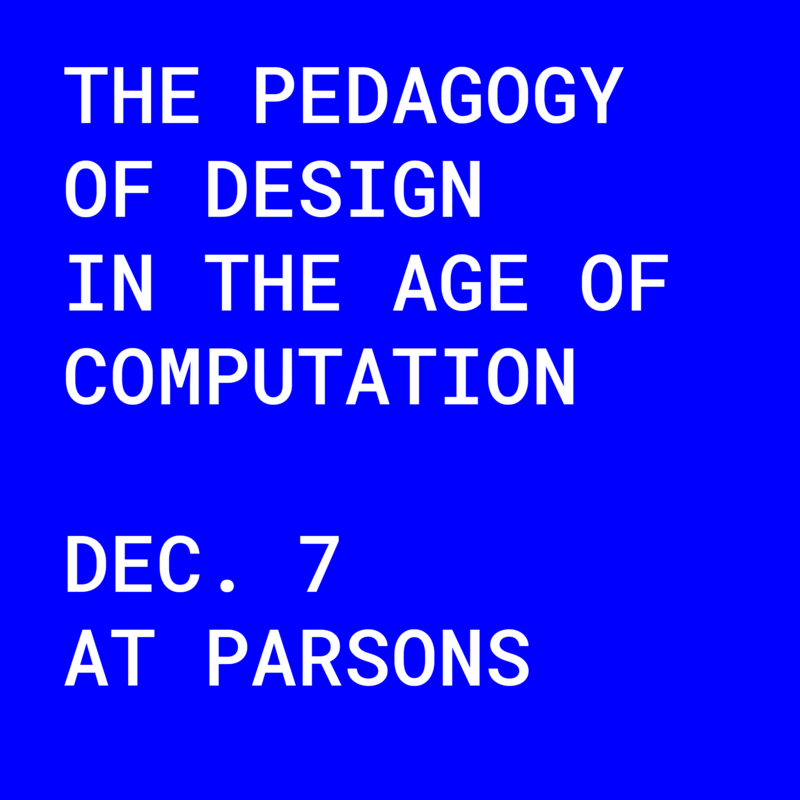 In this symposium, we bring together designers, programmers, and educators to unpack their approaches and philosophies towards code and pedagogy in design. How did we get here and where do we go from here? What do we owe to the students?